Accessories business Tapestry has hailed its efforts to operate in an ethical and responsible manner, with highlights including a 13.4% reduction in absolute CO2e emissions at its Coach brand and updating its Supplier Code of Conduct to reflect more stringent requirements. The achievements are outlined in the group's first comprehensive Corporate Responsibility Report as Tapestry since changing its name from Coach in October of last year. 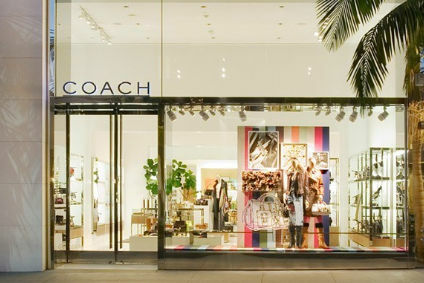 The group, whose portfolio includes the Coach, Kate Spade and Stuart Weitzman brands, identified three main achievements under the environment and supply chain section of the report, including providing in-person compliance and anti-corruption training to more than 120 raw material suppliers and manufacturers in FY2017 and early FY2018. At the end of fiscal year 2017, Tapestry said its Coach brand achieved a 13.4% absolute CO2e reduction over a 2014 baseline across its corporate and store locations. The brand is working toward a 20% reduction target by the end of fiscal year 2020. The group's stores continue to be the biggest energy user, Tapestry said, adding that in fiscal year 2017, its energy procurement team instituted an internal renewable energy sourcing policy for new energy contracts. As a result, new contracts must procure at least 10% of their energy from renewable sources. Specifications on freedom of association and collective bargaining. The Supplier Code of Conduct applies across all brands and is provided to Tapestry's suppliers at onboarding and periodically throughout the relationship. The group's social compliance team also audits its suppliers' compliance with the Code. Other highlights include successfully implementing the group's Animal Welfare policy across the Coach brand by the end of 2016, as per Tapestry's 2020 Sustainability Goals, and achieving a group 55.2% waste-to-landfill diversion rate at the end of fiscal year 2017. Tapestry is aiming for a 100% rate by the end of fiscal year 2020. The group also received its fourth consecutive score of 100 from the Corporate Equality Index. "We are extremely proud of our accomplishments to date, and we are excited for the future of our corporate responsibility programme," said CEO Victor Luis.